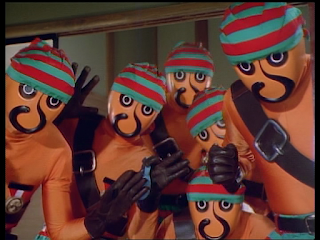 Welcome to my latest Super Sentai overview! 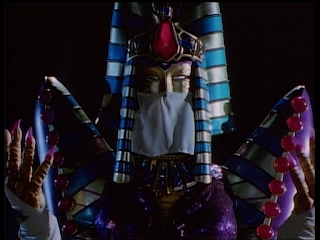 This time I am taking a look at Seijuu Sentai Gingaman from 1998. This is a show I really didn't get into when it was new, but thanks to Shout! Factory's ongoing campaign to release Super Sentai series to us in North America I will be revisiting it this month over two posts. 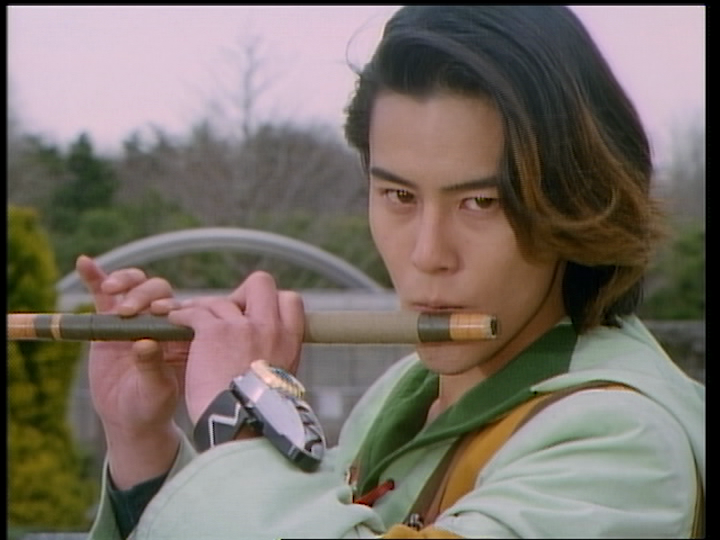 As with my series on Denji Sentai Megaranger, I will be focusing on characters in this post. Ummm...yeah, Gingaman has TONS of characters to cover, so this is going to be a long one. 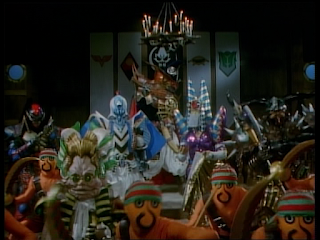 After all, this is the first Sentai series to exist entirely within the new time slot on Sunday mornings. The move to Sunday morning also extended the runtime of the shows from twenty minutes to twenty five minutes per episode. The last series to have a twenty five minute duration was Goggle Five in 1982. 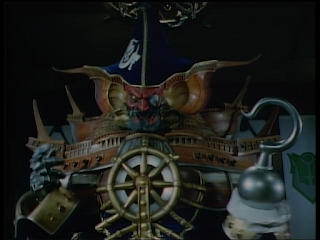 Starting with episode ten of Dynaman, episodes of Super Sentai were abbreviated to twenty minutes. It lead to tighter stories, more concise action, and just overall better pacing. When the time slot move happened during the eighth episode of Megaranger, the series just kinda sputtered for the remaining time. Fair enough, the show was already in full swing...so adding five minutes was likely easier said than done. I'll be talking more about that when I get into series detail in the next part of my review, but it's unavoidable to mention here when you look down and see the enormous list of main cast...and I'm not even going to talk about characters like Gouki's dead-eyed girlfriend. Oh yeah...where would I be without the *spoiler alert* for this type of post? There you go. The show is twenty years old and Shout! released the DVD in January. It shouldn't be necessary...but you've been warned. The series opens with the 133rd generation Gingaman being granted their powers during a ceremony in the Ginga Forest. 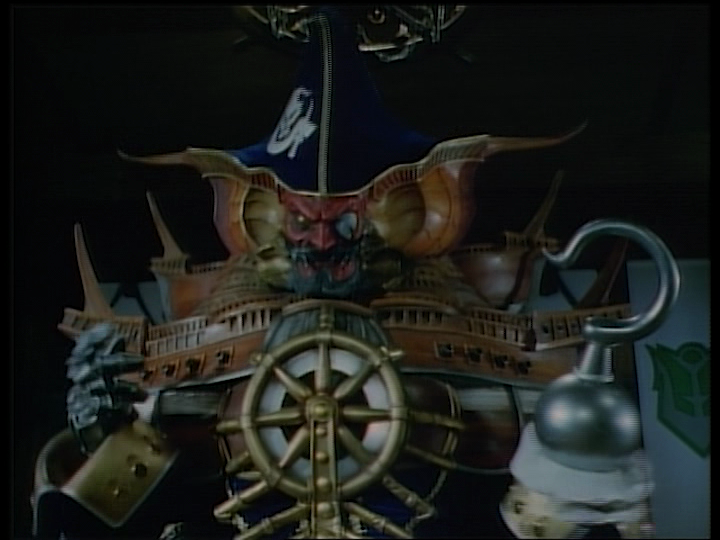 As coincidence would have it, the seal that the original Gingaman had placed on Uchuu Kaizoku Barban three thousand years ago was broken during an earthquake releasing the band of pirates on the world. Gingaman was forced into battle immediately resulting in the death of Hyuuga (Gingared). With his younger brother Ryoma stepping in to lead the team, would it be enough to stop Barban? As the characters exist in a world within our world, they aren't the least bit primitive and do mention that they can and have passed freely through the invisible boundaries of the Ginga Forest. I can only think of one time where Ryoma is baffled by a motorcycle after sitting on it and turning it on. Show me someone who isn't like that the first time they sit on a bike, though. These guys aren't weirdos who were flung into the modern world...they just *really* like the emptiness of their home, the Ginga Forest, and were trained to use Earth powers. During the time that the forest is sealed, the team lived and worked on a horse ranch. It was there that they planted a seed given to them by Bokku that sprouted the team's mentor, Moak. He was initially considered to be too weak to take the helm as the 133rd Gingared, but was forced to find the courage to use his Earth after listening to the inspiring last words from Hyuuga after he seemingly fell to his death. Ryoma took his new role as Gingared in stride and was a competent fighter once he mastered his Earth. I like Ryoma. Of the five, he really had the least business being a Gingaman and never had a moment where he was giving up or wanted to quit. The plot kinda forced that on all of the characters of the show. 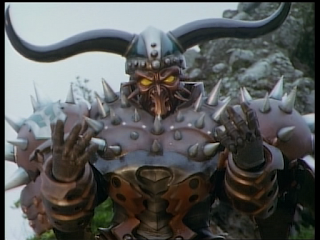 While previous series had characters who up and quit when things got too tough, Gingaman is mercifully devoid of that. Not only was the fate of the planet on the line (as it always is), but their home was also on the line. There is also the caveat that these characters were destined to fill the role as Gingaman and trained from birth to be there. Props to Ryoma for sticking through, having a decent attitude, and never giving up. After the devastating loss of his brother, he never lost hope that maybe he was still alive. He would hear Hyuuga try to communicate with him from time to time, but never shared this with the rest of the team as he didn't want to worry them. 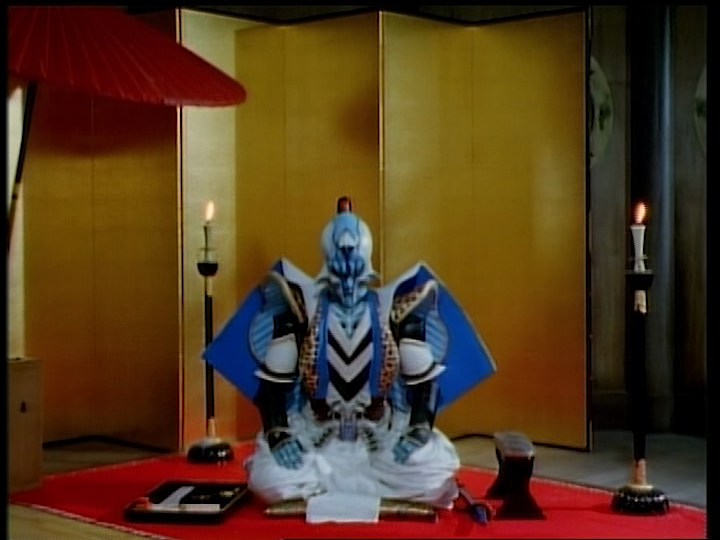 Probably the second most tragic of the characters as he was due to be wed shortly after the ceremony to become Gingaman occurred. The Ginga Forest was sealed along with his fiance, Miharu. Hayate is very restrained is the most likely of the group to assemble a thought before rushing into battle. In addition to this, he is a very chill dude. The lack of a temper might fool you into thinking he is a bland character, but really he is.....yeah, he's kinda bland. It's nice to have a level-headed character who isn't driven to endless mistakes guided by emotion. He does have one fault, however. It's his food pickiness. I was stung up by bees when I was too young to know better as well...but to hate honey for that? C'mon, man. Eating honey is the best way to lord over bees! He has it backwards! Also his hatred of tomatoes was just...weird. He just didn't like them. For someone who lives off the land, how can you develop a pickiness like that? 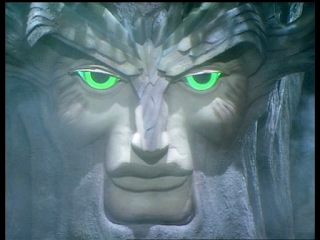 Maybe the Ginga Forest is just that bountiful that you can afford not to like things. It was *very* hard getting a photo of him not making some absurd face. It's hard to say what Gouki was up to in the Ginga Forest before it was sealed, but I take it he was into becoming a warrior and nothing else. This kinda lead him to be an awkward and very emotional individual. He is usually the first to be driven to tears over anything. His clumsiness also kinda hinders him on a handful of occasions. Gouki meets Yuuta's teacher Suzuko while subbing in for his father during a Parent's Day at school. After immediately developing a crush, he spends the rest of the series trying to work up the nerve to ask her out. Along the way he meets Shunsuke Kishimoto (played by Yuuji Kishi......who is basically playing Kyosuke from Carranger again...which was hilarious) who is also seeking Suzuko's affection. In the end, Gouki is able to keep up with his promise to one day show her the Ginga Forest. 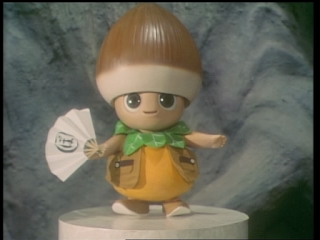 Gouki is usually seen doing most of the cooking in the series. He tried his best to make a tomato based dish so good that Hayate would come around on his hatred of tomatoes, but couldn't quite make it happen. The first to rush into battle is always Hikaru. As he shares the title of being the youngest of the group with Saya, he is a little too eager to rush into potential Barban traps. This is usually stopped by the rest of the team, though there are times when he gets tired of being scolded and will go off on his own. Hikaru does have a fondness for food and eating general. He did briefly take an apprenticeship to a chef who cared deeply for him as her reminded her of her son. Other times he is just seen stuffing his face with donuts. While she is way more mature than Hikaru, it is mentioned that the two are the same age and often had to be babysat together by one of the other three. She was crushing on Hyuuga on a few occasions, but nothing ever came of it. She did have an encounter with her bratty idol doppelganger and took it in stride when she had to fill in due to an injury despite being injured herself. This was par for the course as Saya regularly ignored her own injuries and jumped into battle a few time when she really shouldn't have. Prior to their first attempt to conquer Earth, Barban encountered Kuro Kishi on his home planet. After watching his brother, Krantz, get brutally murdered by Zahab, Kuro Kishi swore revenge. This was hindered after he ended up defeated and trapped in a cave beneath the Earth's surface. Fast forward three thousand years later and Hyuuga falls into the same cave. He saves Hyuuga from falling into lava, but captures Hyuuga within his crystal and uses his Earth to escape the cave. 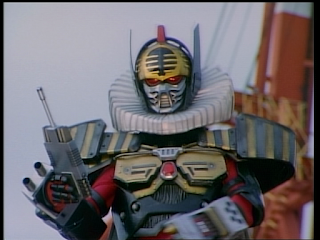 At first, he seems to help Gingaman on their quest to fight Barban. However, it isn't too long before it's realized that his revenge is deeper than that and that he is willing to destroy the planet if it also means killing Zahab and crew. As someone with nothing to lose, he becomes a major nuisance to Gingaman. As a final act, he frees Hyuuga from captivity after being pestered by the spirit of Krantz. He sacrifices himself and later awards the Bull Riot and ability to become Kuro Kishi to Hyuuga. Ryoma's older brother and the intended recipient of the Gingared Seijuuken. After being trapped within the Earth, he gives Ryoma his Seijuuken and encourages him to fight Barban. During his fall into the Earth, he is saved by Kuro Kishi who uses him as part of his plan to exact revenge on Barban. 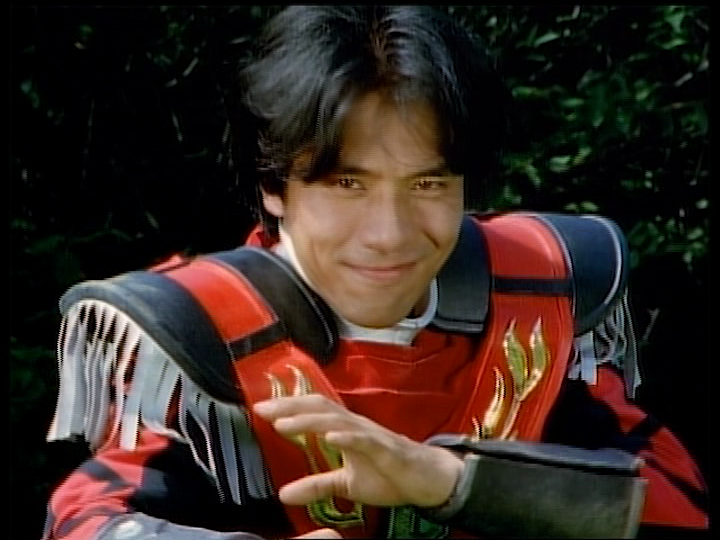 Once freed from Kuro Kishi, he joins the Gingaman crew. While relieved to have his brother back, Ryoma is secretly panicking about having to return the Seijuuken to Hyuuga. Hyuuga insists that Ryoma is the only Gingared. 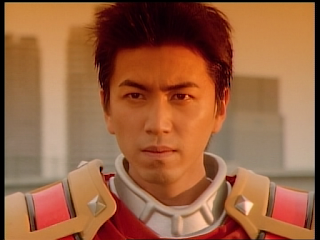 After becoming the new Kuro Kishi, he fights alongside Gingaman. Things are derailed once again when he is forced to follow an exiled Buccrates who has captured Bull Taurus. Buccrates instructs him to relinquish his Earth powers in order to train to become a master of the Knight Axe in order to kill Zahab. He is sometimes freed in order to help Gingaman, but he is largely forced to train with the axe. Hyuuga is by far the most complex character in the series. Actually, I should rephrase that. He is the character that the more complex parts of the plot happens to. Hyuuga as a character isn't much more than Sasuke from Kakuranger (considering Teruaki Ogawa played them both...this makes sense) in tighter clothes. The time when he used flower language to communicate with Saya? Totally a Sasuke move. Once he is driven away from the team by Buccrates, the levity is gone. He largely loses his will to fight effectively and needs to be given the same pep talk that he once gave to Ryoma to restore his Earth. 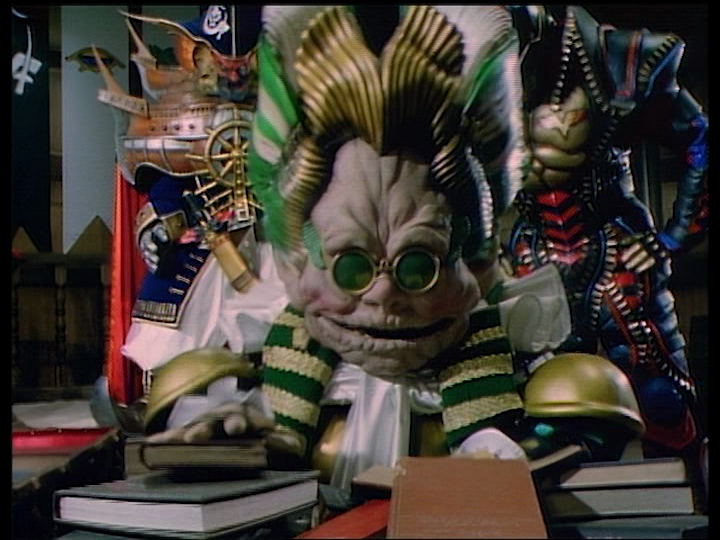 An annoying and largely useless character that joined the Gingaman team during their escape from the Ginga Forest. He did provide the team with the seed that grew into Moak, but otherwise is just around for chatter. Maybe I'm being a little too harsh. Bokku isn't as annoying as some other little helper robot/creatures. He does the usual thing where he says his name a lot, but isn't really as overbearing as some of them are in other series. Annoying, but tolerable. The real series mentor for Gingaman. He is connected to every tree on the planet which can be very helpful since apparently trees are massive snitches. As long as something happens near a tree, Moak knows about it. Besides being Big Brother, Moak created the Juugekibo and later upgraded them before having to revert back to a seed due to Barban's pollution. He was later revived once the Ginga Forest reappeared. Yuuta is a young boy who encountered Gingaman while on a trip into the forest with his father. Once the Ginga Forest was sealed, he ended up spending a lot of time with the team and wanted to train with them. Rather than putting him down, the team often let him in and encouraged him to do his best. This resulted in Yuuta saving the day more than once. 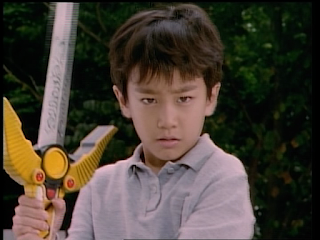 The image above is actually of a fake Yuuta, but it's one of a few times in the series you see Yuuta holding some kind of Gingaman weapon. If it weren't for him, the Seijuu probably would have been toast early on. This is where the show reaaaaaaally could have been derailed. Mercifully Yuuta was played by a competent child actor. 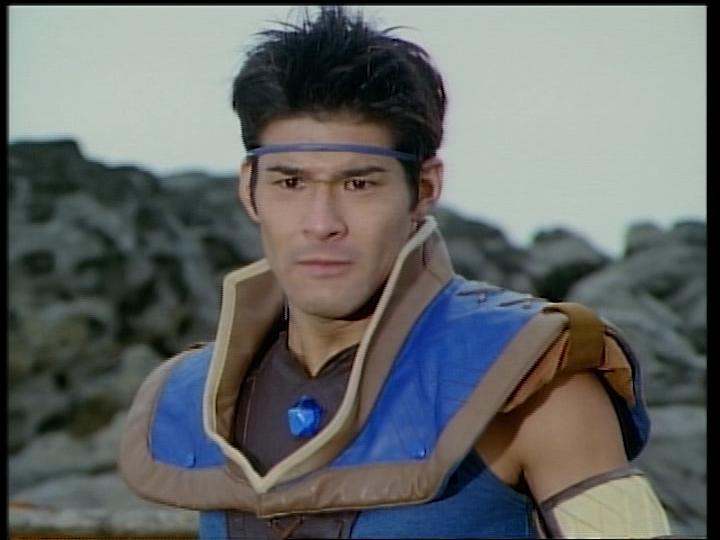 Shogo Hayakawa actually does very well with the role and can act circles around Shoei (Gouki/Gingablue). I know some people will automatically dislike him for being a kid, but he was acrually a decent character. 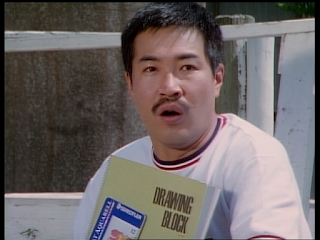 An illustrator and Yuuta's father. He is actually quite skilled at his work and is spending the time documenting Gingaman's adventure. He also set up the team with the Silver Star horse ranch that they live and work on. He is a little bit childish personality wise, but does help the team out when he can. 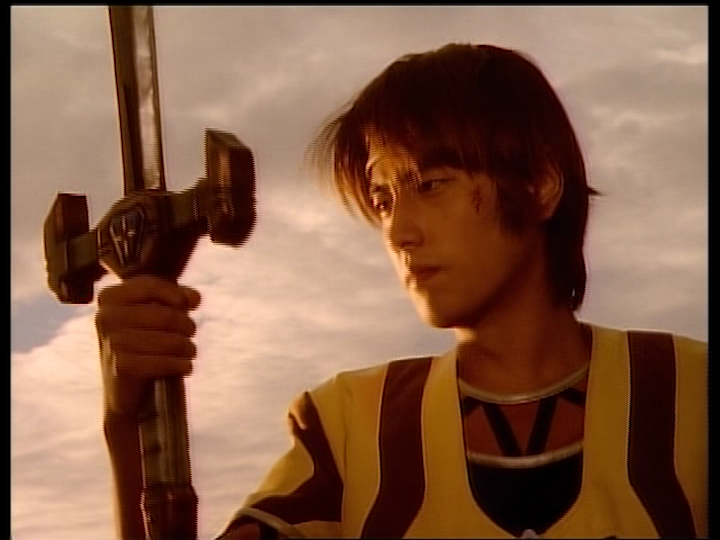 He even helped out Hayate in battle after accidentally gluing their hands together. Revived just as the 133rd Gingaman were introduced, Barban immediately sets out to revive the Daitanix *groan* and resume turning planets into jewelry. Lead by Zahab, Barban has four main generals as well as a crew despite being on a stationary ship for the majority of the series. During the course of the series, the four generals devise several different plans to once again sail back into space on the Daitanix after taking Earth as their next jewel. The leader of Barban and captain of the Daitanix. He is incredibly demanding of his underlings. Having been sealed by the original Gingaman previously, he wanted to make quick work out of defeating them as soon as he was revived. Killing Hyuuga was his goal as he had a particular hatred toward Gingared for the deformities his ancestor caused. During the course of the series, he seldom leaves his castle often leaving the planning and attacks to whichever general is in charge at the time. During his training with Buccrates, Hyuuga learns all of Zahab's secrets including his immortality that can only be broken when the life force from his own planet within his chest is destroyed. This can only be accomplished using the Knight Axe. In all of the chaos, Zahab was always controlled. Angry? Very, but he never really lost it until the very end when he suddenly found himself to be the last man standing. I love his design...so much so that a long while back I got the action figure version of him from the Power Rangers Lost Galaxy line (along with the figure of Batobas...because why not?). It's also cool that veteran villain voice actor Hidekatsu Shibata to voice him. Being stuck on a ship that she can't steer leaves very little for Shelinda to do throughout the series. While the generals do all of the plotting and attacks, Shelinda sometimes supports plans but is often just seen by Zahab's side in his castle. She developed an incredibly forced rivalry with Hayate. 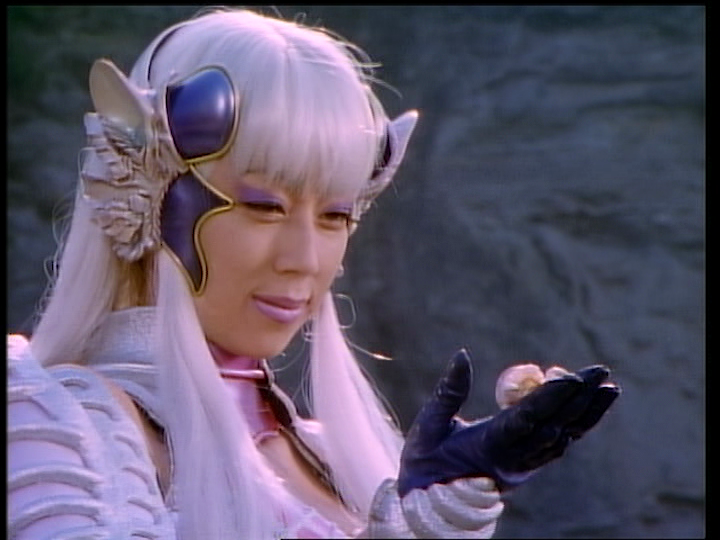 So much so...I don't even think any of the other Gingaman were given a chance to fight against her. She is competent with her sword, but often ends up retreating during her fights against Gingagreen. Ultimately she ends up losing a dual against Hayate, which spells the beginning of the end for Zahab. Zahab's mentor and the one who granted him immortality by implanting his own planet's life force into his chest. He is also the uncle of Iliess and wants her to succeed in reviving the Daitanix. Once Iliess is defeated, he attempts to revive her but is stopped. Zahab confronts him that he knew of his and Iliess' sabotage of Budoh and casts him overboard. Buccrates spends the remainder of the series plotting his revenge against Zahab using Hyuuga as his pawn. He does this by keeping Bull Taurus captive and threatens to kill the Seijuu if Hyuuga refuses or tries to escape. He creates the Knight Axe and trains Hyuuga to use it by using his own planet's life force as his target. He ultimately releases Bull Taurus and effectively Hyuuga once Barban launches an all-out assault on them after finding out his scheme. In the word's of Zahab upon learning the Buccrates is training Hyuuga "What a weird combination.". The first and least interesting of the four generals tasked with reviving Daitanix. His plans are probably the most crude of the bunch. His goal is to use energy for the revival. An example would be that he notices that cars are running on gasoline, so he attempts to gather gasoline as energy. His final attempt to revive Daitanix was to retrieve the Hikari no Ginga, which was given to him 3000 years ago and which he hid from Zahab. He tricks Ryoma into using his Earth to enter the cave where it was hidden only to discover that the chest is empty. After a failed last ditch attack, he rides his motorcycle off of a cliff as it explodes mid-air. The calm and resourceful general who took over once Sambash was killed. As it was decided that the Hikari no Ginga was the key to reviving Daitanix, he laid out a several part plan in order to obtain it. Most of the plans, however, were pretty idiotic ("The Hikari no Ginga is hidden in tomatoes...let's go after tomatoes!"). He had a strong respect for the Majin he dispatched to carry out his plans and thanked them for their service after they were killed. 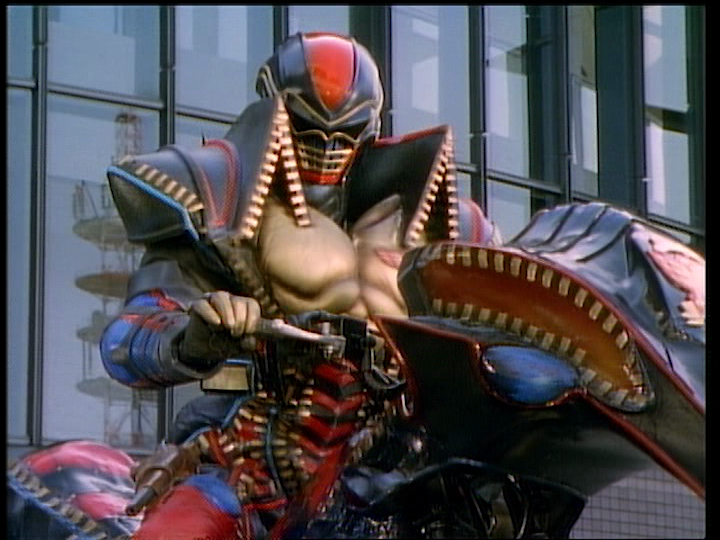 After being sabotaged by Iliess, he escaped captivity was forced into a final battle against Gingaman. He was defeated once they gained the Hikari no Ginga. Buccrates' niece and the third of the generals tasked to revive the Daitanix. As the Hikari no Ginga had chosen to aid Gingaman, things were back to the drawing board at Barban. Worse yet, it was discovered that Daitanix was rotting and would need to be revived soon. Iliess' plans weren't any less hairbrained than the previous two generals (we need *insert arbitrary number of people's blood/souls* to revive Daitanix). Once she was defeated, her life force was spread onto Daitanix to help revive it. The final general. In keeping with the previous generals, he has dumb ideas to finish the revival of Daitanix. "Daitanix has a weak heart...we need someone to massage it. Find a masseuse!". That said, Daitanix *did* actually get revived almost by surprise after his and Biznella's plan to divert the energy from an asteroid through a suicidal Majin actually worked. He was later eaten by the Earth Beast during it's rampage. While he was the most successful of the generals, I kinda preferred the previous two. Batobas' Majin did have that fun little rally before being dispatched, but really they were just as silly as the previous ones. The fact that the plan that worked to revive to Daitanix actually worked was so out of left field that it actually wasn't a bad idea. Originally unaffiliated with Barban, Biznella sticks around following his failed sale of Giga Bitus, Giga Phoenix, and Giga Rhinos to Barban. He has numerous gadgets and ended up using them to aid Batobas in his revival of Daitanix and later to track the location of the Earth Beast. Generals and then sub-Generals. Barban was crowded enough before this guy showed up. He really could have been dispatched much earlier, but was kept around seemingly because the Barban ranks were thinning once Buccrates was tossed overboard. The grunts of the series. There really isn't too much unusual about them other than they will spill crucial secret if you mildly threaten them. I think it was Hikaru that threatened to shave the Yartot's beard off if he didn't tell him how to escape the protective barrier that he and Saya were trapped in. That is the conclusion of Part 1 of my look at Gingaman. In Part 2 you will read about some of the wins and opportunities that I thought the series had as well as some of my favorite episodes. It will be a little more opinionated and you'll definitely find out what I thought about the series there. 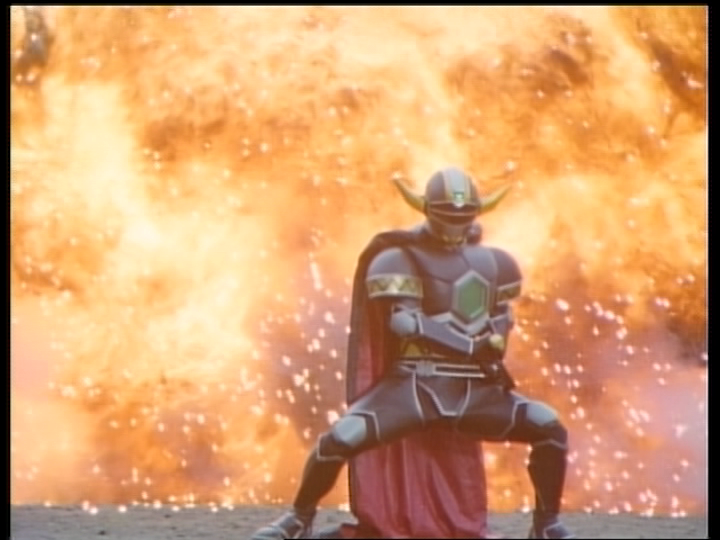 I hope you enjoyed what you read here as I enjoyed writing about Gingaman. There was a Captain Zahab figure i never saw oh snap! Yeah. Hahaa. I actually posted photos on Twitter.